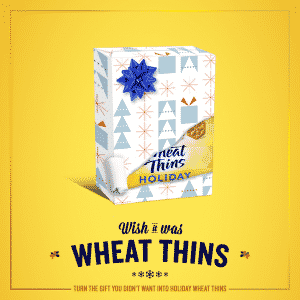 Wheat Thins will be giving away 5,600 free boxes of Wheat Thins through December 22nd. Each day, the first 400 people to tweet them will receive a direct message on Twitter with a unique link to collect their prize. You can click here for today’s tweet that you can respond to.